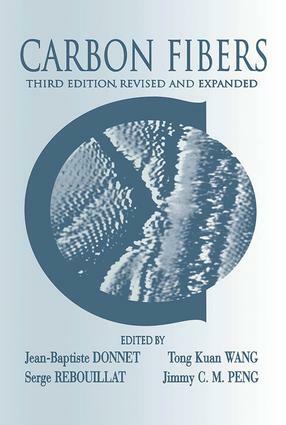 "Third Edition offers the latest information on the structural, surface, mechanical, electronic, thermal, and magnetic properties of carbon fibers as well as their manufacture and industrial applications from many of the world's most distinguished specialists in the field. " "Unanimous Praise for the Previous Edition from International Reviewers . . .excellent, concise, and complete. . .elegant. " ". . .well written. . .an indispensable resource. " ". . .a very informative book. . .undoubtedly of great use to persons involved in work with carbon fibers and their composites. . .a most welcome addition to [any] library. " ". . .a well-researched text. . .The quality of the transmission and scanning electron micrographs is remarkably good. " Manufacture of carbon fibres; structure and textures of carbon fibres; surface treatment of carbon fibres; surface properties of carbon fibres; mechanical properties of carbon fibres; electrical and thermal transport in carbon fibres; carbon fibre applications.